Tap 'n' Go | Cards | Al Ahli Bank of Kuwait K.S.C.P. With ABK’s Tap ‘n’ Go, you can now make contactless payments using your ABK Visa Tap ‘n’ Go Credit, Prepaid, or Debit card. ABK’s Tap ‘n’ Go allows you to spend less time at the register and have more time to do the things that matter most to you. ABK Tap ‘n’ Go is easy and convenient to use, all you have to do is just wave or tap your ABK Visa Tap ‘n’ Go Credit, Prepaid, or Debit card in front of a NFC enabled reader and go. How Does ABK Tap 'n' Go Work? Through Near Field Communication (NFC) technology embedded in the card to enable the communication between the card and the POS device simply by tapping or waving the card on the POS device, without having to insert or swipe the card in the POS device. Where can I use ABK Tap 'n' Go? At any POS device just as you would use the regular cards. If the POS device is NFC-enabled, you can now make payments simply by tapping or waving your card on the POS device. How can I get an ABK Tap 'n' Go Card? All new customers who apply for a Visa Infinite or Signature Credit or a Visa Gold Prepaid Travel card. 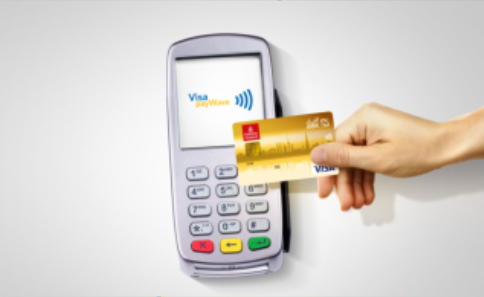 You must activate the Contactless functionality by doing a traditional EMV transaction (Card chip in POS terminal).